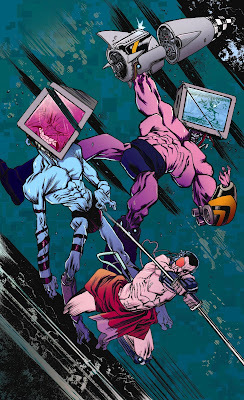 SHWANN: The Futuristic Samurai DJ: Shwann VS The Apex Twins Poster - On Sale Now! Shwann VS The Apex Twins Poster - On Sale Now! Due to popular demand, I am now offering this impressive "SHWANN: The Futuristic Samurai DJ versus The Apex Twins" illustration, by popular freelance illustrator James Harren, as a high-quality 26" x 40" premium poster! Click the image below for a larger view and ordering details! 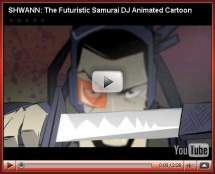 More details about my signature character, "SHWANN: The Futuristic Samurai DJ" and the entire SHWANN Universe can be found at my DeviantART page.